Our latest Housatonic Recommended Mating features Pinkprint, a daughter of Maryland’s legendary stallion Not For Love and a half-sister to last year’s Breeders’ Futurity-G1 winner Knicks Go, who will visit the veteran leading sire Tiznow. Given his long-standing record of success as a sire, Tiznow would make sense as a mate for just about any mare, but especially a young mare like Pinkprint, who will deliver her first foal in 2019. Tiznow — who won back-to-back Breeders’ Cup Classics during his racing days — has sired a total of 73 stakes winners (43 of them Graded) since he entered stud, including Eclipse Champion Folklore, and Grade 1 winners like Well Armed, Tourist, Colonel John, Irap, etc. He gets good 2-year-olds, classic-type 3-year-olds and older horses, and his offspring can handle turf, too. 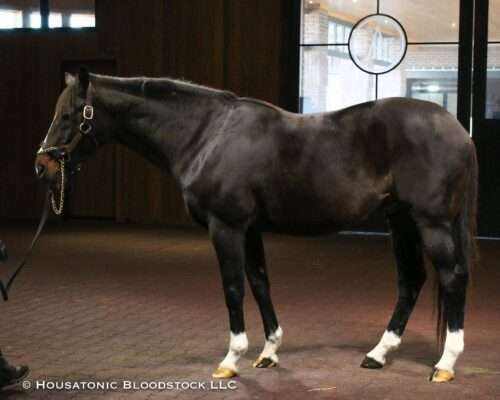 Although there are limited foals bred on the Tiznow/Not For Love cross so far (a total of just seven of racing age by Tiznow or his sons out of Not For Love mares, of which five have raced and four have won), Tiznow has done very well with mares from the Mr. Prospector sire-line more generally. He has 18 stakes winners bred that way, ten of which are Graded winners. Included among that group is Grade 1 winner Tiz Miz Sue, who is out of a Woodman mare, and Woodman and Not For Love have very similar pedigrees. As mentioned above, Pinkprint is a half-sister to 2018 Grade 1 winner and Eclipse Award finalist Knicks Go, by Paynter — both of them out of the stakes-winning Outflanker mare Kosmo’s Buddy. And while Paynter is a son of Awesome Again, he was actually a large part of the inspiration for this particular match given that his dam is a full-sister to Tiznow. 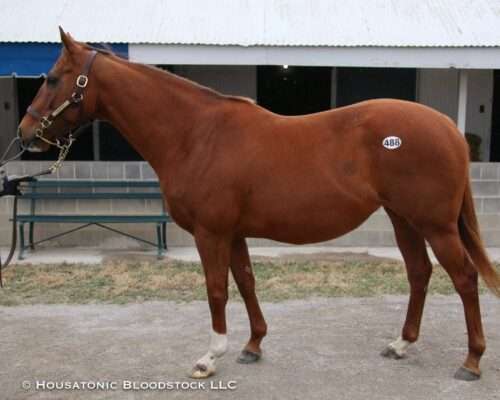 In addition to all of the pedigree-related reasons to send Pinkprint to Tiznow, he is also a notoriously large horse (the “Big Horse Sire” in one of WinStar’s clever ad campaigns) with a strong, rugged physique, which is something that he will hopefully pass along to Pinkprint’s foal — along with his racing ability.